The Second World War had been over for barely a year when former British prime minister Winston Churchill stepped on a podium at Westminster College in Fulton, Missouri. There he thundered: "From Stettin in the Baltic to Trieste in the Adriatic, an iron curtain has descended across the continent." On March 5, 1946, at this tiny rural college, Churchill announced the dawn of the Cold War. In this now famous Sinews of Peace speech, he also called for the creation of a military force for "the grand pacification of Europe within the structures of the United Nations." Seated not too far from Churchill, then American president Harry S. Truman listened closely. Truman would, a year later, tell the US Congress that he intended to staunch the communist wave halfway across the globe, and for that he needed to spend money. It quickly became clear though, that money was not enough to stall Soviet advances. The need of the hour was an alliance of countries with shared concerns. Joseph Stalin, communist leader of the Soviet Union had already called Churchill's speech "war-mongering", and referred to the possibility of an alliance between western Europe and North America as a symbol of Anglo-Saxon imperialism. The stage was set for Great Britain, USA and the Soviet Union -- that until a year ago had stuck together against the Nazis -- to draw lines along which the Cold War would be fought. 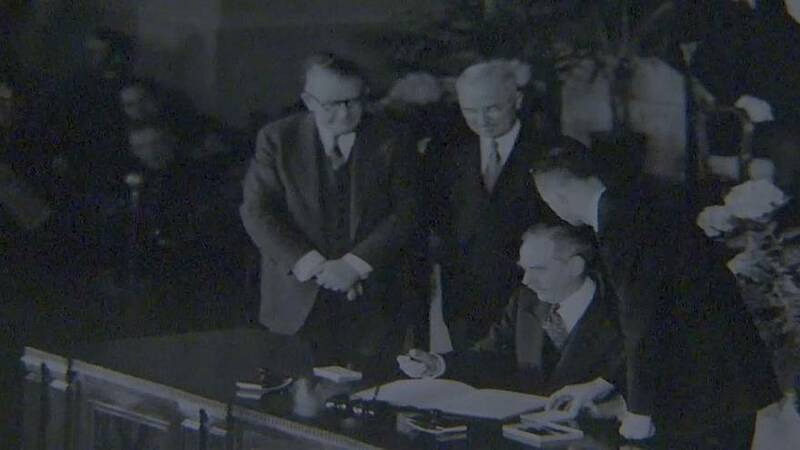 Against this backdrop, on April 4, 1949, 12 countries from Europe and North America got together in Washington D.C. to sign the North Atlantic Treaty, that later came to be called the North Atlantic Treaty Organisation or NATO as we know it today. At the heart of the treaty was the principle of collective defence: an attack against one of its members is considered an attack on all of them. Seventy years on, how strong is NATO today? The United States intended for the alliance to last for 10 years and assumed that Europe would become more stable during this period. But as the Cold War endured, so did the treaty. What began as an alliance between a dozen nations to ensure safety in Europe against warfare, flourished into a larger political coalition of 29 countries to safeguard against Russian aggression, even after the Berlin Wall fell. 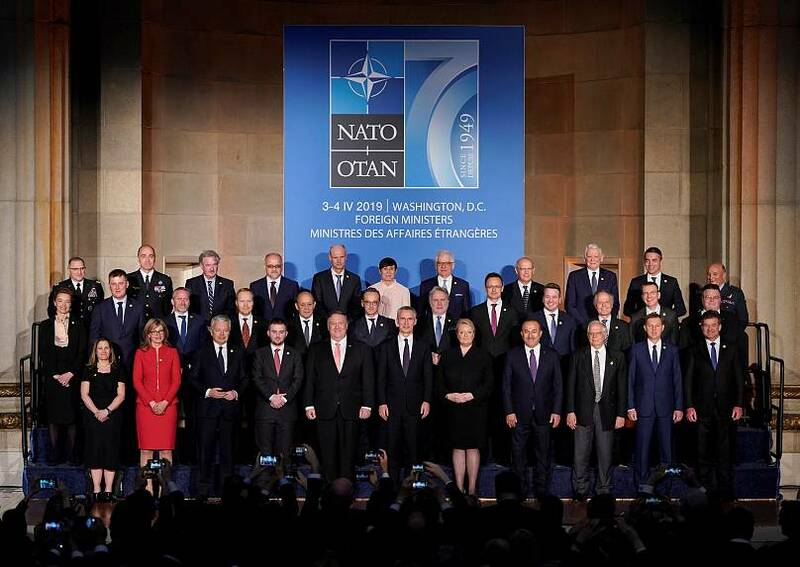 Seventy years since the birth of NATO, and about thirty after the Warsaw pact was declared disbanded, the alliance has largely survived the peaks and troughs of its existence. But with US President Donald Trump calling it "obsolete" and some major European powers like Germany defence spending below target, is NATO on its last legs? Not necessarily. "NATO remains highly relevant", wrote Peter Ricketts a former permanent under-secretary at the foreign office and ambassador to France, in a recent article for The Guardian. "After two decades of discretionary wars, NATO has now come back home, giving top priority to the security of allies ... there is a new push to improve the readiness of alliance forces to deal with threats of all kinds, including the Russian speciality of exploiting the grey area between intimidation and subversion and outright conflict." Ricketts said that NATO's strength lies in the fact that it operates on trust, not on legal obligation. But whether it was the US protecting Europe during the Cold War or the US stepping in to stop ethnic cleansing in the Balkans, the unanimity became set in stone. Perhaps the greatest show of solidarity emerged on the day after the 9/11 attacks in the US. European members and Canada invoked NATO's Article 5 of collective defence, the very raison d'être of the treaty. "NATO remains an indispensable organisation for the security of Europe, now more than ever," said Heinrich Brauss, NATO's former assistant secretary general for defence policy. Speaking to Euronews, he said that while there was uncertainty over the future of NATO, it was time to strengthen the alliance. "The continuous military presence of the US in Europe and their expended nuclear deterrent they provide for Europe remains vital for security," he said. NATO, however, hasn't been free from controversies regarding their intervention, for instance, in the bombing of Yugoslavia in 1999. While proponents of it say that the intervention helped stop the Serbian-motivated ethnic cleansing of Albanians in Kosovo, critics have said that it resulted in civilian deaths. Defence expenditure as a share of GDP. What does the future hold for NATO? Some experts think the global reach of the US is moving further from European values, and are worried about NATO as it exists today. While Trump has often been loud in his scepticism of NATO, previous American presidents like George Bush Sr had also begun asking questions. Josef Janning, a senior policy fellow and head of European Council on Foreign Relations in Berlin said the biggest challenge for the organisation is to reimagine a future without the US leading policy decisions. "Europe’s ability to defend its own security will be the essence of a future relationship with the US, and the latter will only engage alongside Europe on that premise. That way, NATO wouldn’t automatically be led by the US in the way that it is today. The US will be an interested and committed partner, but not the principal one," Janning told Euronews. To that end, experts say, Europeans need to do much more to contribute to security. "All European nations and Canada need to fulfil their pledge of spending 2% of their GDP in defence for the sake of their own security, and to cope with the increasing strategic challenges faced from Russia and China," said Brauss. The alliance also needs to keep its eyes on cyberspace where modern wars are being planned and fought, added Janning. "Nobody declares cyberwar war, but cyber activity seeks to explore, conquer and paralyse. It is not covered by a traditional understanding of warfare, so we need to expand our knowledge on that."